Teeth are designed to handle the tremendous forces generated during chewing. Teeth need constant support. In other words, teeth like to have teeth on either side of them and also an opposing tooth to chew with. When a tooth is lost the remaining teeth will start to move. The natural teeth are trying to find the missing tooth. They will drift and tilt into the missing space. Now the teeth are out off alignment. The teeth will take extra chewing forces and this will start to damage the teeth. 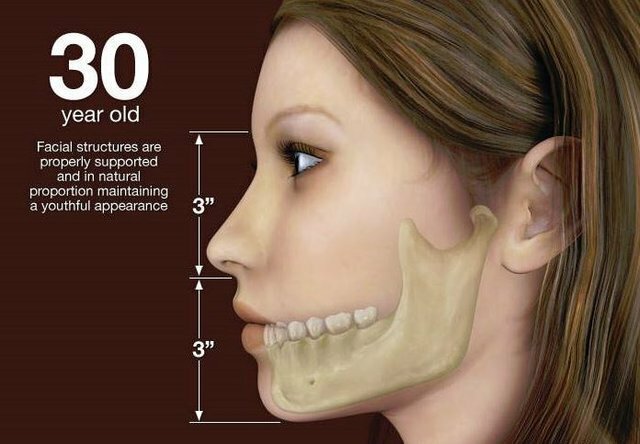 The tilted teeth are more difficult to clean and are more prone to decay. It is important to replace missing teeth. The best and longest lasting method to replace a missing tooth is with a dental implant. The dental implant is the ONLY tooth replacement option that does not damage the adjacent teeth. The implant prevents the teeth from shifting and preserves the bone levels. Some dentists are still doing bridges. This is a horrible treatment option as it requires the destruction of natural teeth to replace a tooth. 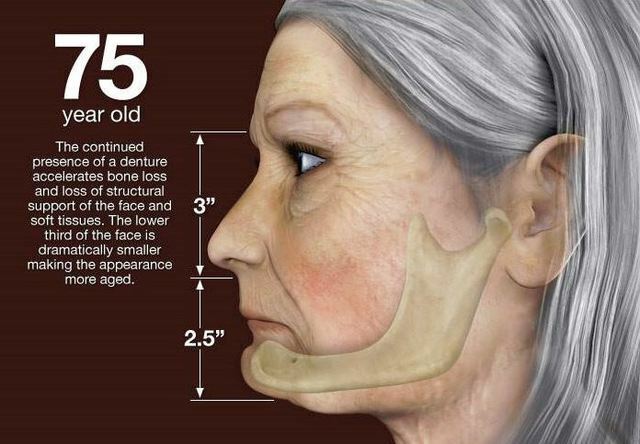 When you lose teeth, you also tend to lose bone mass in your jaw. Your jawbone needs the stimulation it gets when your teeth connect to maintain its mass. 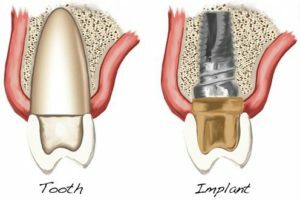 Dental implants are the only tooth replacement option that also replaces that jaw bone stimulation, helping to prevent bone loss. 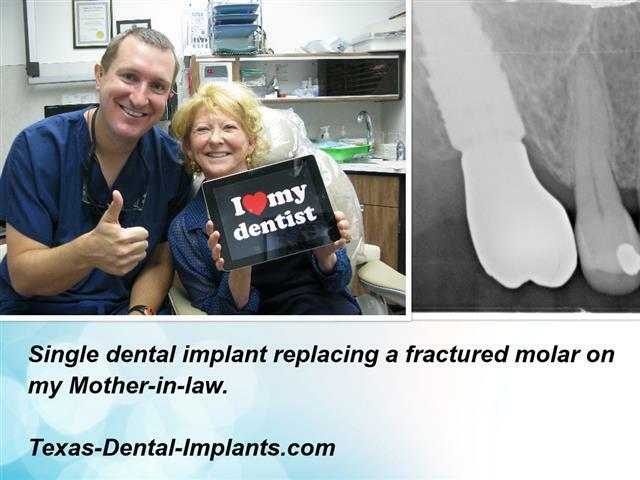 Dental implants mimic natural teeth. 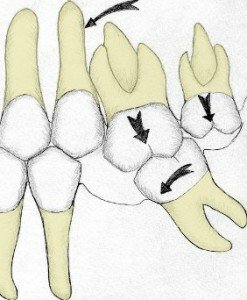 They are fused into the jawbone and come out of the gum tissue just like natural teeth. Other tooth replacement options will need to be repaired or replaced periodically, but dental implants are designed to last for the rest of your life. If you’re in need of a tooth replacement option, you should definitely consider dental implants. Because dental implants are anchored into your jaw with a titanium post that replaces the tooth root. Thus the implant is anchored in the jawbone and can withstand and provide great chewing forces. However, other tooth replacement options like bridges or partials do not restore nearly as much of your bite force. This is because they sit on top of the gums and aren’t anchored in place. Artificial teeth still need to be cared for to prevent bacteria from building up in your mouth and causing infections. However, titanium and porcelain can not get decay. You’ll never have to worry about getting cavities in your dental implants! Your teeth and jawbone help support your facial structure. When you lose teeth, you lose that facial support. 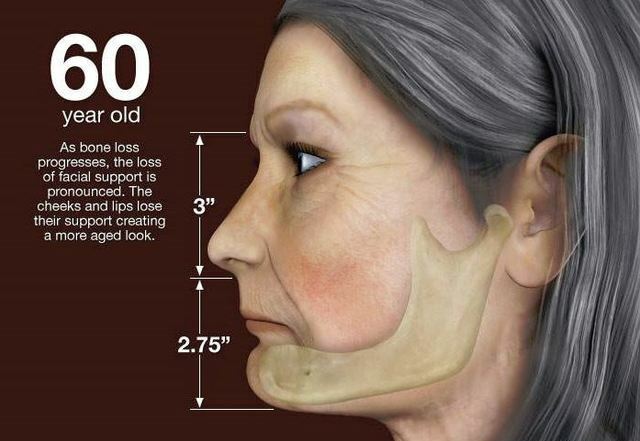 Therefore, your face changes and you appear older. Dental implants provide similar support for your face as your natural teeth, preventing it from changing shape. Missing teeth can also alter your speech. Because dental implants feel and function just like natural teeth, they enable you to speak easily and naturally. Dentures and partials can move around during speech. Taking care of dental implants is easy! Just brush and floss like you normally would. Dental implants don’t require you to buy any special products to clean or care for them. You just brush and floss, just the way you would with your natural teeth. Patients with dentures sometimes feel self-conscious about speaking, laughing, or eating in public, as dentures can visibly shift or slip inside your mouth. 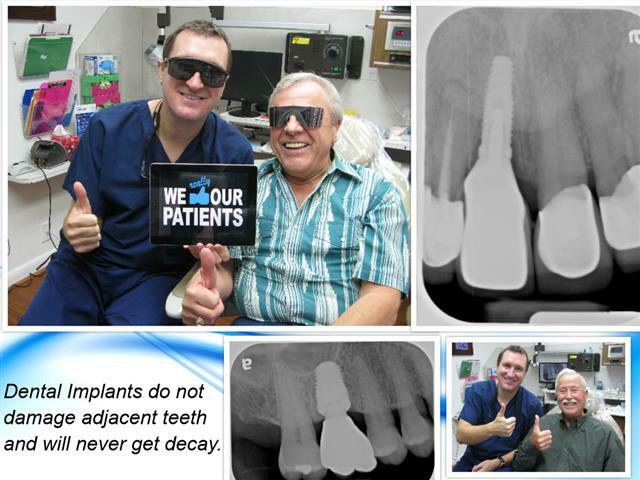 Dental implants are firmly anchored in place and will never embarrass you. A gap in your mouth caused by a missing tooth can cause the teeth on either side of the gap to shift positions, leading to misalignment. 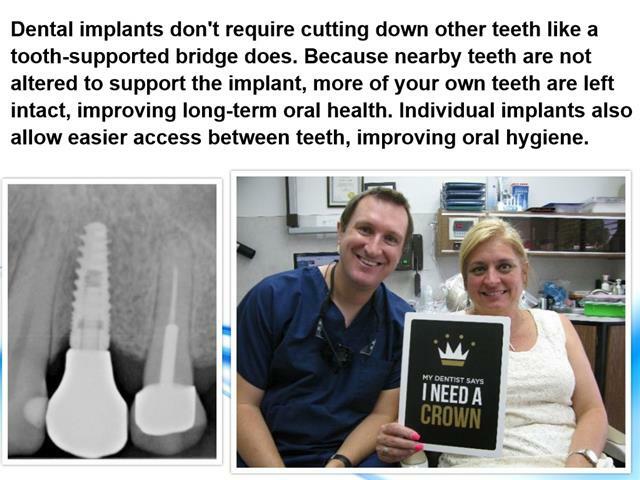 Dental implants fill the gap, allowing you to maintain a straight, even smile. Visit our office at 3421 Burke Rd, Ste A, Pasadena Texas or call us today at 713-941-8261. 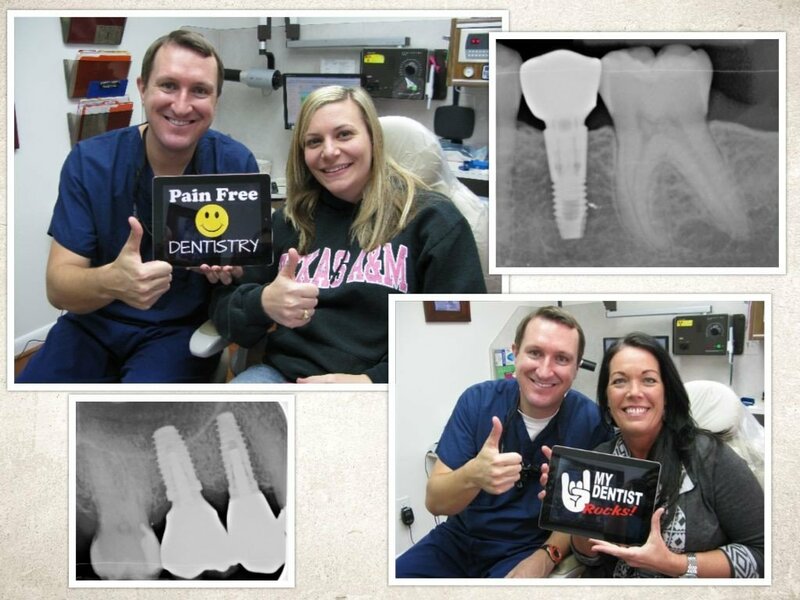 Dr. Nugent is a leader in dental implant solutions. Get the best dental care for you and your family.